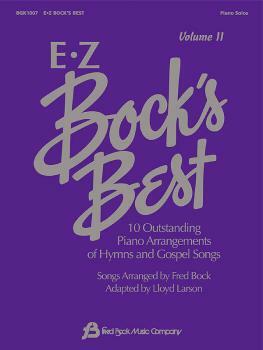 These 10 songs were originally arranged by Fred Bock and now have been adapted by Lloyd Larson at an easier level for the intermediate player. Titles include: As the Deer • America, the Beautiful • Christ the Lord Is Risen Today • God Rest Ye Merry, Gentlemen • In This Very Room • Joy to the World! • A Mighty Fortress Is Our God • O Sacred Head, Now Wounded • On Eagle's Wings • We Are God's People.